OGAE Slovakia: Daria Kinzer exclusive about Conchita Wurst! Daria Kinzer exclusive about Conchita Wurst! OGAESK- You represented Croatia at Eurovision Song Contest 2011. Can you describe your feeling that you had on stage? DK- I was feeling very proud that I got the chance to represent Croatia at such a big musical event in Europe! It was an awesome feeling to sing in front of this great audience with millions of people watching me! I think it's a big honor and of course a big challenge! OGAESK- How has Eurovision changed your life? DK- It doesn't change my private life not in the least, but I must confess that my professional life has changed since the ESC. I got the opportunity to sing at big events, to create my first album and make my dream come true! 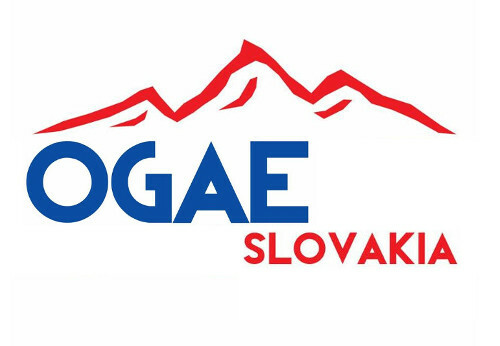 OGAESK- Would you like to represent some country again? OGAESK- Now you live in Vienna. It´s really near Slovakia. Have you ever been here? DK- I have been in Bratislava a couple of times and I really do like the city, as well as the country. There is a perfect connection between Vienna and Bratislava by boat - so you can get very fast to Bratislava. I have done this trip several times, because Bratislava is really beautiful to me. OGAESK- Do you like Conchita Wurst, the winner of ESC 2014? DK- It was a bold decision to send Conchita to the ESC you don't have to regret. Conchita has done a great job! She is a smart, nice and talented person -she deserved to win! OGAESK- Do you have some new songs, maybe new album? DK- My first album has been released yet and is called "Zwischen Himmel und Erde". It's a Schlager-album that is sung in German language and is released in Germany, Austria and Switzerland, but can be bought per Internet as well.